Hail and Well-met Heroes! 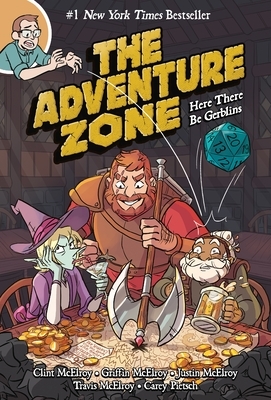 Join Taako, Merle and Magnus on their quest for glory, goofs and gold in this graphic novelization of the popular podcast series. Whether you're a McElroy mega-fan, or never heard of 'em before, you'll find something to enjoy in this hilarious take on Dungeons & Dragons. Take a risk, you can't resist, step into... THE ADVENTURE ZONE!